Who doesn’t tweet these days? Celebrities, sport personalities, politicians, friends and family all love to share their updates. And it can be overwhelming sometimes with the huge amount of messages. And what if you don’t check your account. You may end up missing something important. TweetPort now offers the solution. This new service takes all your tweets and package them in an email to be sent to the address of your choice. A Twitter application, which only needs access to your account and the option to send the email daily, weekly or monthly, which summarizes all those tweets so that you can sit back and read them all at once. The service is free for the first month and then costs $3 per month currently. TweetPort is your personal Twitter summary report. It’s a way to condense all of your tweets into one, easy-to-read, daily email. Best of all, it’s automatically organized by importance. The report is also available in live form on TweetPort.net. There are times when we don’t have access to the Internet or we may be busy or on vacation. Getting all the tweets in the email will certainly help as it should be a breeze to read them. I wonder if they can put an option to get the email with tweets only from certain people. That would be cool as only the important bits will come filtered from the rest. This site is a little bit too good as it identified the type of music I like and kept me entertained for hours when I should have been writing. SpotiBot works together with Twitter and the music site Spotify to help you find music you’ll enjoy based on your favourite musicians. To use it you go to the SpotiBot site, or direct to your Twitter account, and type in ‘@spotibot similar to’ followed by the name of a musician or band you like. Spotibot will reply to you with suggestions for other musicians you’d enjoy. I tried it with quite an eclectic range of music and the suggestions were similar in taste and introduced me to musicians I hadn’t heard of, including well established and new ones. SpotiBot gives you the suggestions together with links to the albums on Spotify, so you also need a Spotify account, otherwise you could look up the bands elsewhere. I right-clicked on the tracks on Spotify, copied the URL and pasted it on webotify.com, a website I reviewed here a while ago. On Webotify the Spotify track is played with a video, so the whole experience has been very pleasurable. SpotiBot also compiles playlists for you, and although it’s independent of Spotify it works together with Spotify and also using Audioscrobbler.net. Audioscrobbler is a site that tracks and analyses listening habits. This clever, entertaining and incredibly useful way to find music you’ll like but wouldn’t otherwise hear about, is put together by Andy Smith who can also found on Twitter as @asmitter and @spotibot. Set aside a few hours when you try this one out. If you haven’t worked out how to have fun on Twitter by taking part in games and meeting likeminded gamesters then MumbleIt could be a good place to start. MumbleIt takes advantage of the way keywords can be used on a website and Tweeted, or vice versa, so that Twitter users can join together to collaborate in joking discussions. To do this you log in on the MumbleIt page, and this uses your Twitter login details. 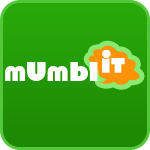 You can also take part on the MumbleIt webpages anonymously. The idea is to come up with topics that will get other users posting brief comments or pictures, and the posts are automatically posted to Twitter so all your followers can join in or see what’s happening. I couldn’t quite see how interactive this was but my start posts were definitely Tweeted. MumbleIt also lets you upload pictures so a topic could ask for photos rather than comments, or both. For example, one of the popular topics is ‘Show me your refrigerators!’ which has a surprisingly intriguing set of fridges photographed and revealed by other Twitterers. ‘Useless Facts’ also had a number of people joining in, and the person who started it used the hashtag to make it an easy-to-find trending topic on Twitter, as #uselessfacts. I tried it out by starting a topic called #MyChihuahua and put a photo of my own dog. When I looked later my topic had become popular with other MumbleIt users posting comments and photos of chihuahuas. These were very comical and I recommend having a go. Along with Artwiculate.com which I reviewed a while ago, and still play every day, this is a great example of how Twitter can work with an application to get people making friends and having fun together. NewsTwit aggregates and filters news flashes from all over Twitter to present them in an organised way so you can keep up-to-date with the news as it happens. It’s a US site, although some sections such as technology have a more international appeal, but it’s clear to see how this idea could do well in various countries. An international version would also be interesting. Each news flash appears as a tweet with a link to the full story, and the tweets are organised by menu choice. These are National News (US), Sports, Tech, Science, Iran and Other, and the two main categories next to National News on the menu are The Left and The Right. I took a look at the stories in these final two sections and was quite intrigued as to the reasons they were grouped. I can’t quite imagine UK news being grouped that way. National curiosity aside, I found it very hard to resist clicking on the links to go to the news stories, and I think this is a very productive use of Twitter. Social networks like Twitter allow breaking news to appear immediately. The ability to aggregate that and filter out and arrange the best stories so quickly makes Twitter a great way to read the news. How website organisers decide to filter and arrange those stories will be of interest to readers and traditional publishers. This site has a downloadable software tool that lets you make use of the identities individuals have constructed on various sites on the internet. It can find and aggregate these profiles in ways that can be used for a variety of tasks and analyses. At the very simplest level you can feed in the names of people you’re searching for and find their profiles on social networks. Then you can collect a number of profiles from various social networks to get a more complete picture of each person. By combining profiles you can construct as detailed a picture as possible for each one. The tool also has automatic options to fill in profile forms with data and photos, and by using it I managed to trace profiles for individuals I have previously found hard to locate. IdentEngine works with the main social networks, but also many others – a total of 87 at the time of writing. The designer, Glenn Jones, describes it as part of a year-long personal project into combining social graph data with other open data sources. He gives presentations on the use of social graph data in combination with other open data sources and videos and slide shows of these talks are available on the website. 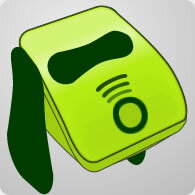 To get a full idea of the usefulness of this tool it’s best to take a look at the site. Social networks contain much of our important information and take time and effort, so a service to keep this all backed up and secure is worthwhile. Backupify lets users sign up to automatically keep backups of all their online data from main sites like Twitter, Facebook, WordPress, Google Documents, Gmail, Zoho, Flickr, Photobucket, Blogger and more. Some services have mass email deletion, and password hacking can lead to data loss, while it’s also possible for services to go down or for others to edit or delete your account. Once you sign up with Backupify you fill in your preferences and will get regular emails to let you know backups have been completed. The service is free until the end of January and the Backupify designers say they will be able to keep costs low after this initial period. The days when you needed to be an expert to understand the mysteries of the stock market are over. Websites are available to let anybody have a go, and one of the latest is TopStockTweets which uses realtime updates from Twitter to help you get informed and involved. At a quick glance this type of site can also look confusing as it takes all Tweets relevant to the stock market to gather them on one website and sort them into usable information. It’s worth persevering as it does soon all make sense. The home page shows all relevant Tweets appearing realtime, while a second list shows the day’s most tweeted stock symbols. You can also search for specific stock to get information, or go to pages to see the top traders and all of their tweets. There are also pages that show the main tags being used to identify important stock and trends, and another page lists the main URLs being tweeted. This kind of use of Twitter can be very successful. Using hashtags to draw attention to the keywords in your tweets, and the @ symbol to communicate with others on TopStockTweets soon creates a community working together and passing information quickly and efficiently. Retweeting information from others in the TopStockTweets community adds to this system, and I’ve used similar Twitter related websites so I know how well this can all work. Well worth a go if you’re interested in the stock market either as an expert or as somebody who wants to get involved and learn from others. Adding a photo and changing the colours on your Twitter profile can make a massive difference to the visual effect and also the way you present yourself. TwitLay makes this easy by letting you upload a photo to go in the top left of the screen, plus a smaller photo to overlay if you want. You can also add a title and subtitle. If you don’t have your own photos there are also some layouts provided by TwitLay. To customise your profile, go to the TwitLay site and follow the prompts either to use one of their layouts or to upload one or two photos. Then you will be given the option to change the rest of your standard settings, including the colour settings for your photos and also the background to the whole screen display. You can leave a lot of this alone if you only want to add photos or use a ready-made design. If you want to customise in more detail, you can change the colours in detail for sidebars, links and more. This is all free and quick to do, so you can experiment with designs and change them as often as you want. It makes your Twitter profile page more appealing, and it’s easy to see how it could help authors and musicians to put an attractive book or CD cover with an overlapping picture of themselves performing to help promote their work. There would be many more uses, including the obvious one of just looking much more individual and attractive than a standard Twitter page. If you’re still wondering what to do with your Twitter account, or whether you should even have one, then consider the many communities with shared interests this social network gathers together. WineTwits is such a community, bringing together people interested in wine to share their knowledge and enthusiasm. WineTwits has a website and you can also follow them on Twitter to interact with the other wine-lovers in this group. WineTwit members discuss wine, events and special events in the microblogs they post on Twitter, and this website brings them all together so you can click on a menu option to see what everybody is saying in each category. You can add your own comments on types of wine, events and seminars and TwitFace brings it all together for others to find easily. By rating wines you take part in a survey so Twitface can give overall ratings. Wine retailers and other suppliers can make special offers to the WineTwits community. This approach to Twitter lets the organisers bring members together in a way that lets you have an ongoing conversation – something that isn’t easy on Twitter unless you’re in a shared interest group. The main menu choices take you to comments by members who have posted an entry on that subject, and they are: Wine Talk, Wine Events, Wine Directory, and Specials (promotions). Twitter really is enjoyable and useful with this kind of application to bring people with something in common together. This Twitter-based competition gives you a new word every day which you have to try to fit into your Tweets. Then if you post it and people like it they can say so or retweet your message. If you get a positive response you’ll be rewarded with points and could get your message on the front page. The aim of the game is to gather kudos by winning points and being among the favourites for each day, but the added benefit is that it can also draw attention to your messages and encourage others to retweet them. The word for each day is on the main page with a definition, so it’s a handy game to increase vocabulary too. The ways people have found to fit each word into a tweet are quite comical, and you can follow Artwiculate on Twitter to have the daily word challenge sent to you. Winners for the previous day are posted, and those with the highest total score appear in their own prestigious list on the main page. A lot of fun to take part in especially if you challenge your friends to fit the unusual word into their tweets of the day.